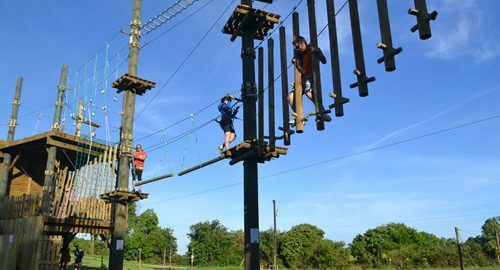 In Ireland’s biggest zip line park, challenge yourself on zip lines, rock climbing towers, suspension bridges, Tarzan swings, tightropes, rope bridges, cargo nets, base jumps and tree houses. There are four levels of difficulty – Moderate (Blue), Difficult (Yellow), Very Difficult (Red), and Extremely Difficult (Black). There are many stops on the course to enable you to hop off at any time. Prices – Children age 9-17 €29; Children aged 5-8 €12. Adults €35. Prices may fluctuate depending on the day and time of the year.